Heat the stock in a saucepan. Peel and finely chop the onion. Brown in a pan with olive oil. Add the rice, coating it with the olive oil. Pour in the white wine and cook on a high heat for 5 mins then gradually stir in the stock, until it has all been absorbed (around 18 minutes’ cooking time). Meanwhile cut up the Roquefort ILE DE FRANCE® and the smoked salmon into small pieces. 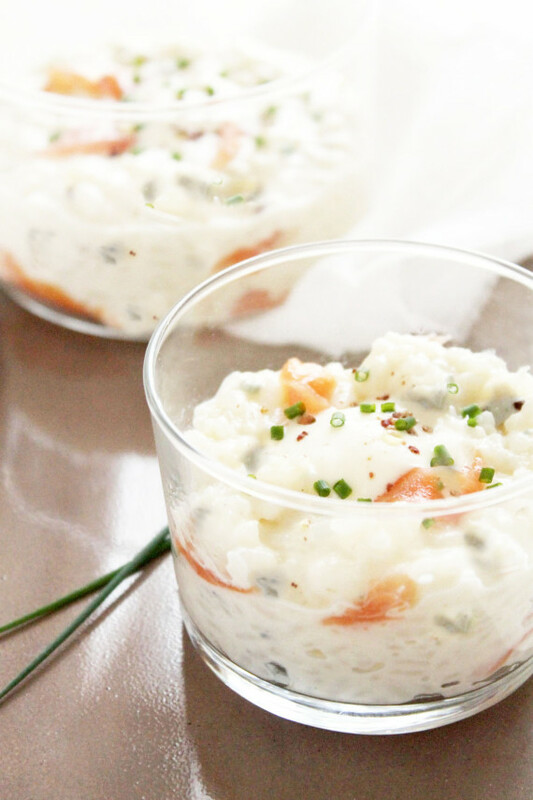 Once the rice is cooked, remove from heat, add the cold butter cut into pieces, the smoked salmon and the Roquefort ILE DE FRANCE®. Mix with a spatula to ensure the rice is well coated. Serve straight away.